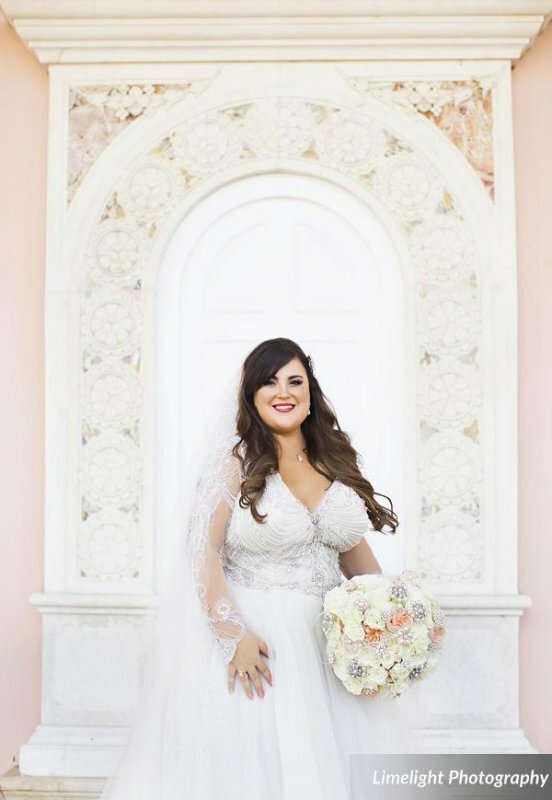 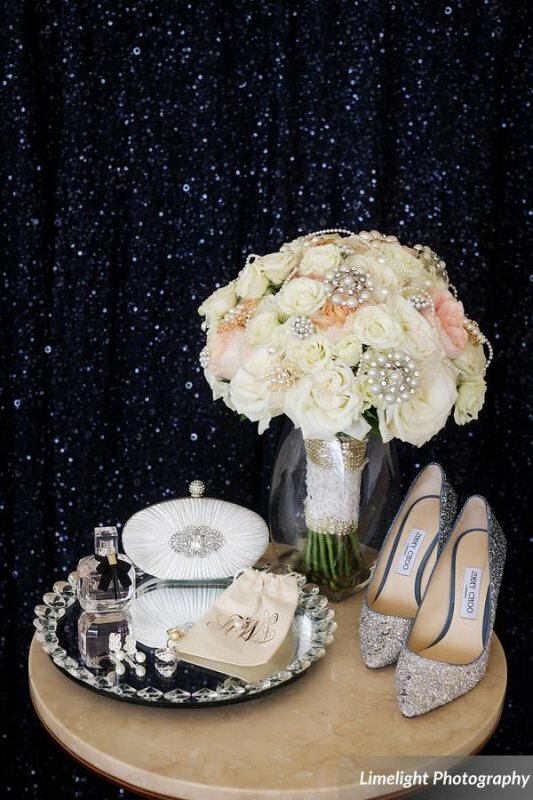 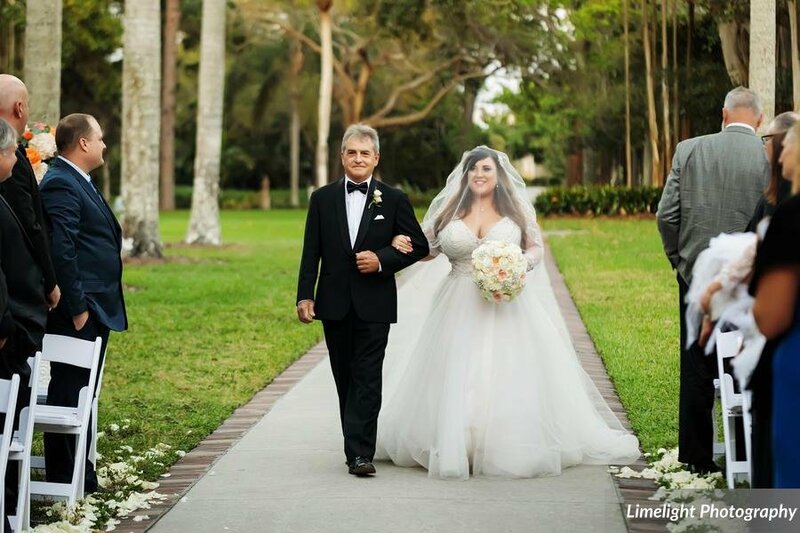 This wedding had it all: beauty, romance, and a touch of whimsy! 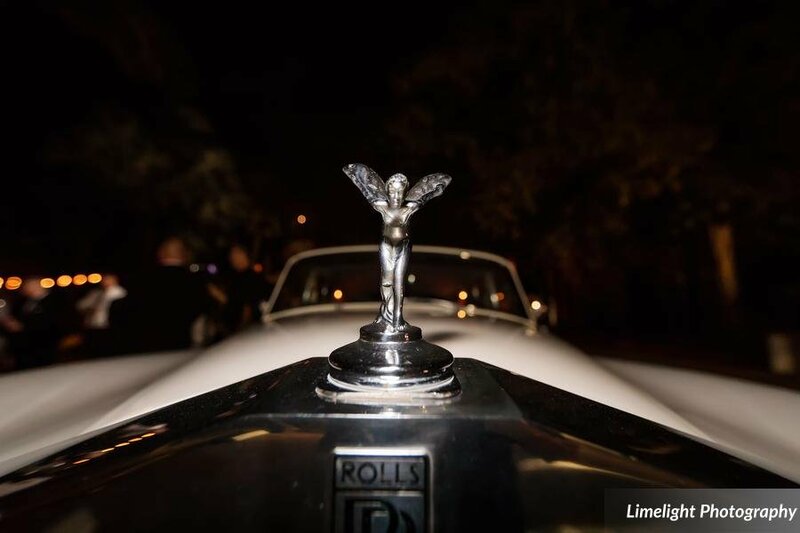 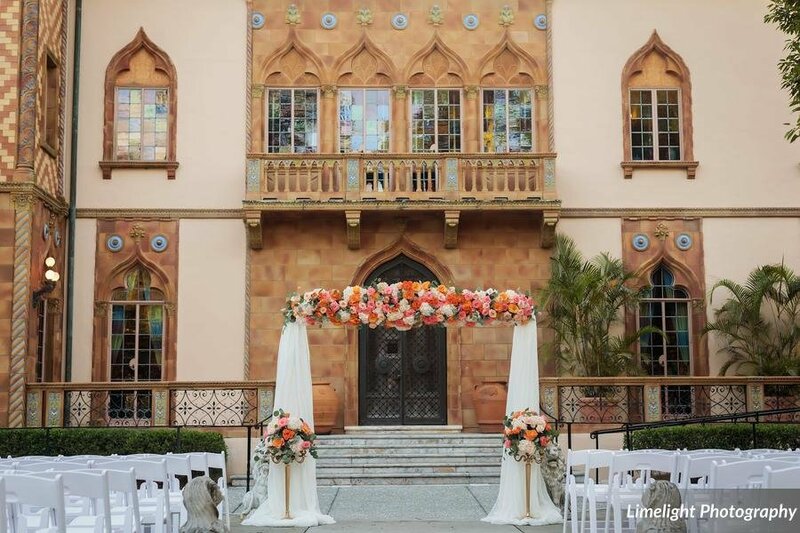 The wedding was in front of the ever romantic Ca’ d’Zan Museum and was simply a showstopper in every way! 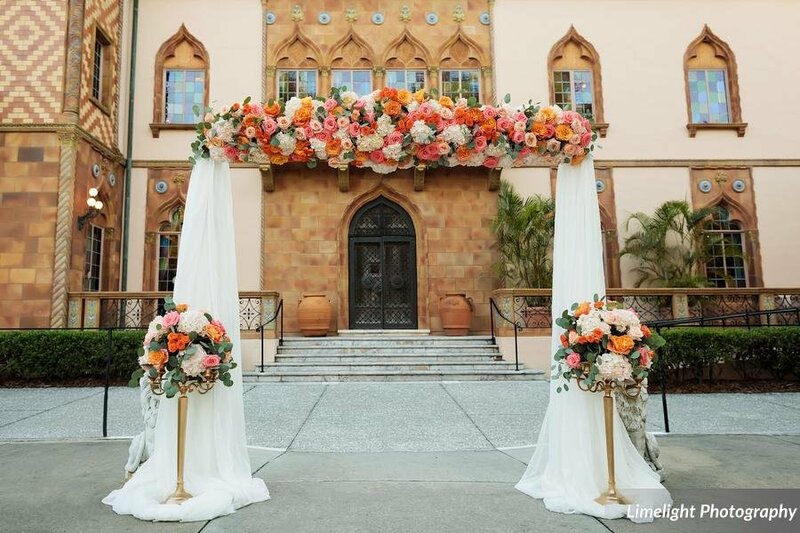 For the wedding ceremony, the wedding arch was dressed with blush hydrangea with Free spirit, Wedding Whisper, Amsterdam garden roses in peach, coral, and tangerine color tones along with the smaller baby orange spray roses—simply divine! 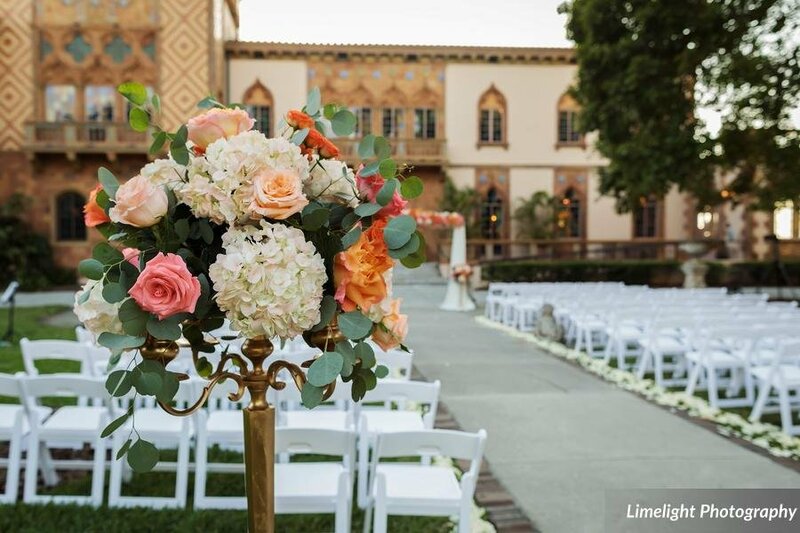 At the sides of the arch and back of the aisle were 2 lovely gold stanchions with matching florals that were later moved to the head table which provided dramatic and beautiful impact. 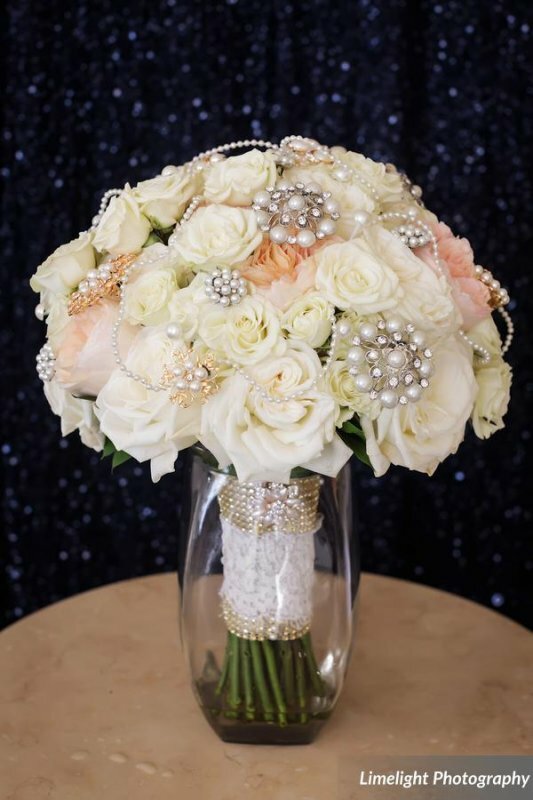 This particular bride loves pearls and peach tones, so she carried a luscious and gorgeous bouquet of peach-colored Juliette Garden roses with lots of pearl broaches and pearl runners with a pearl treatment on the handle. 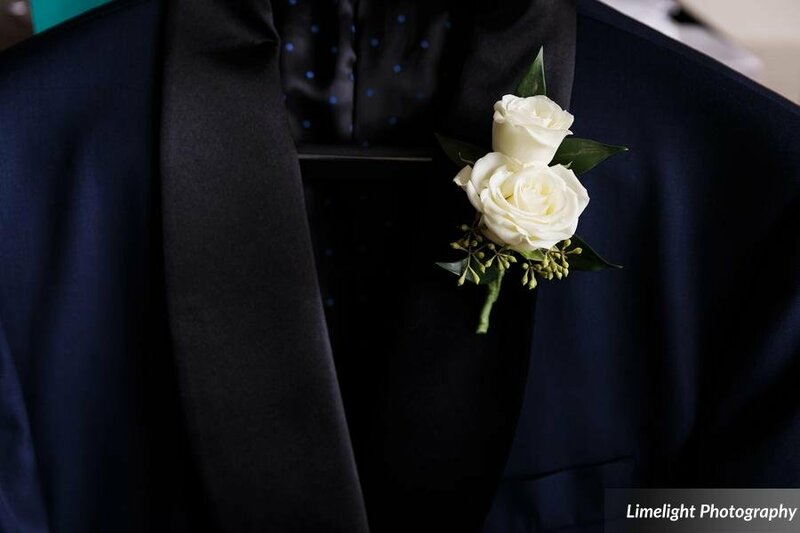 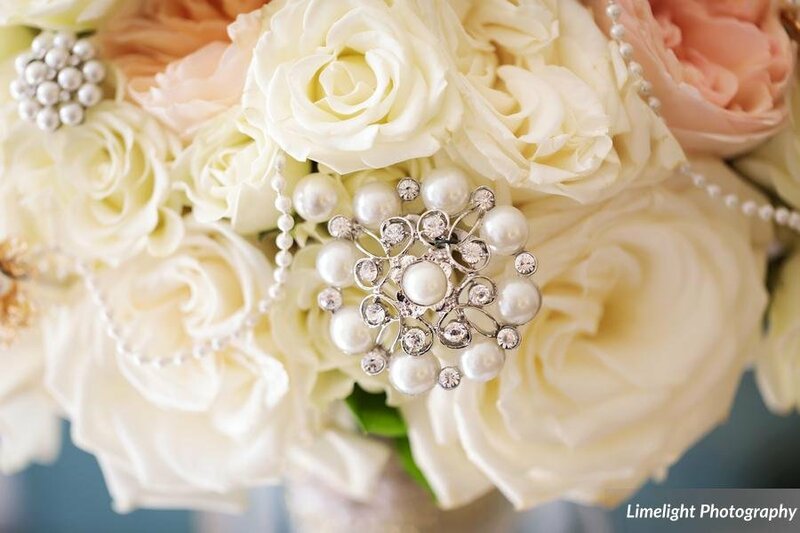 This bouquet was a work of art! 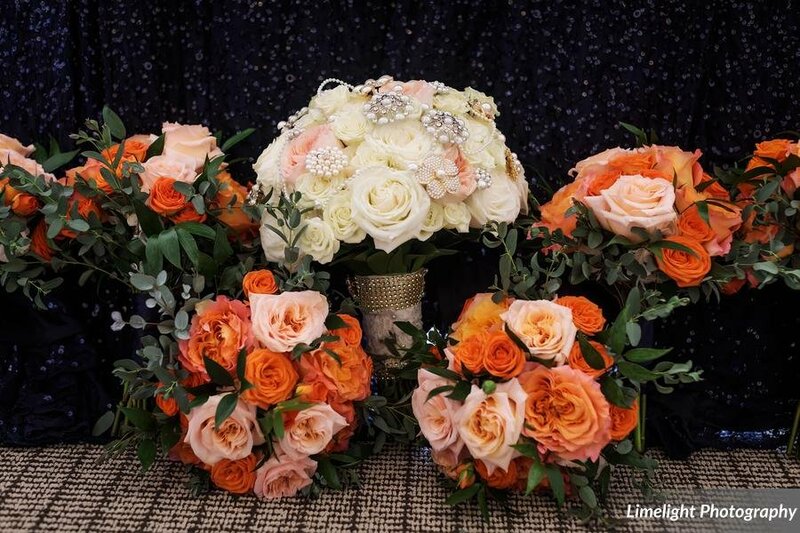 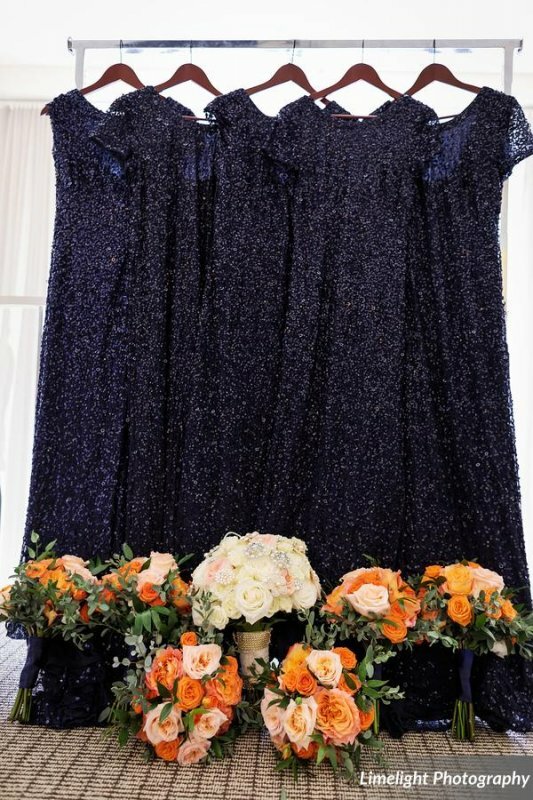 The bridesmaids were in sparkly navy dresses, so we used coral and orange roses for their bouquets which stood out beautifully against the dark blue hue. 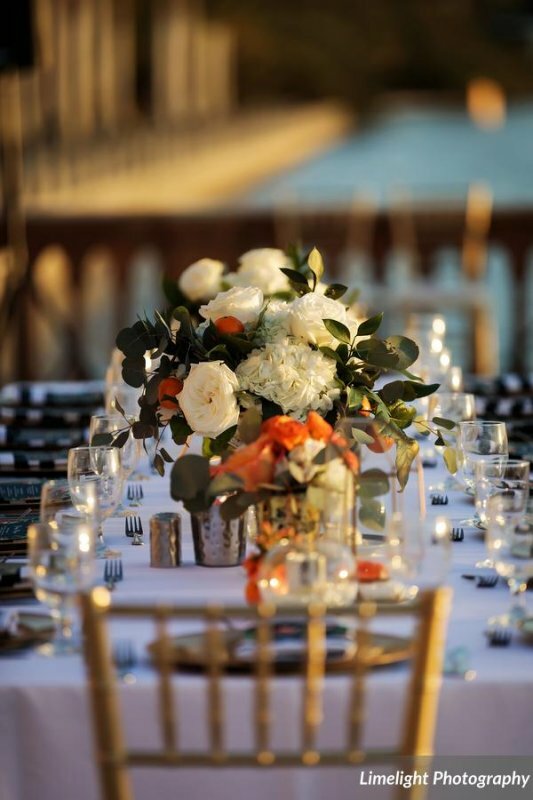 For the reception on the terrace at the Ca’ d’Zan, guests sat at feasting tables, each table with a different look consisting of diverse and decorative elements. 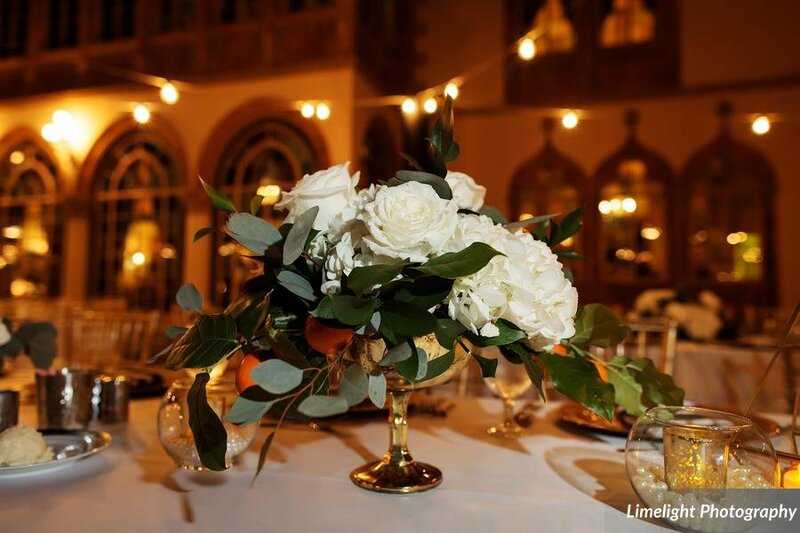 Some had garlands with white roses and “cutie” oranges (so whimsical and colorful!) 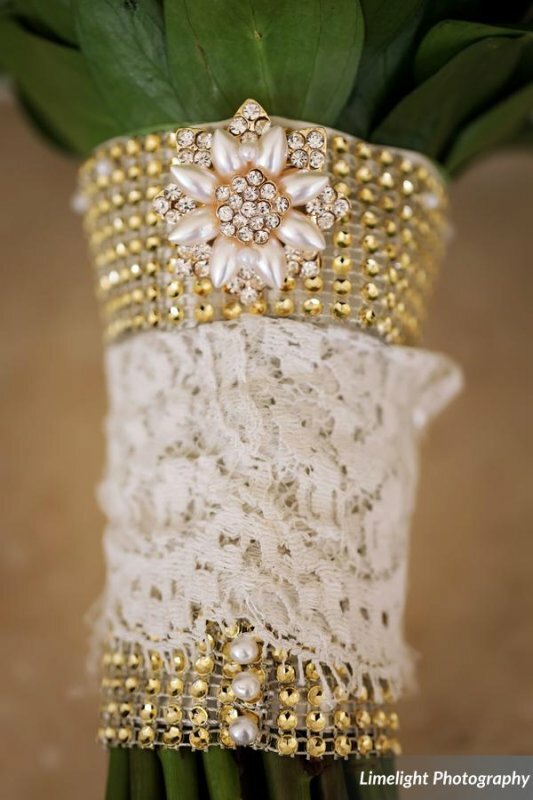 along with loose pearls in the bottom of the votive holders. 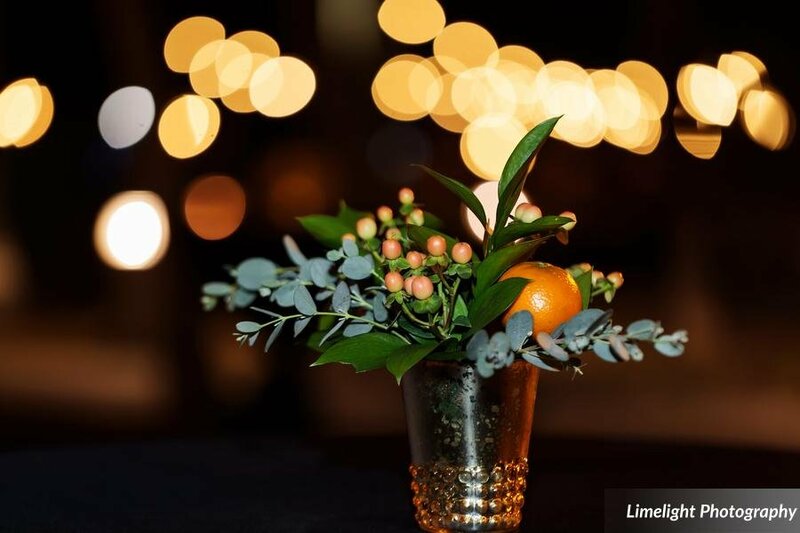 Others had “cutie” oranges with flowers designed in the small fruit alongside gold terrariums with pearls and single open white roses. 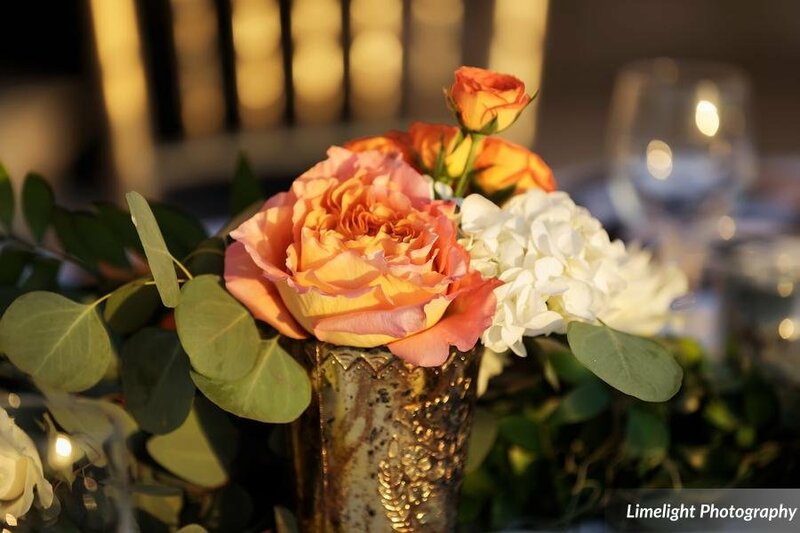 Other table centerpieces featured footed gold bowls with white roses, cutie oranges, and lots of greenery. 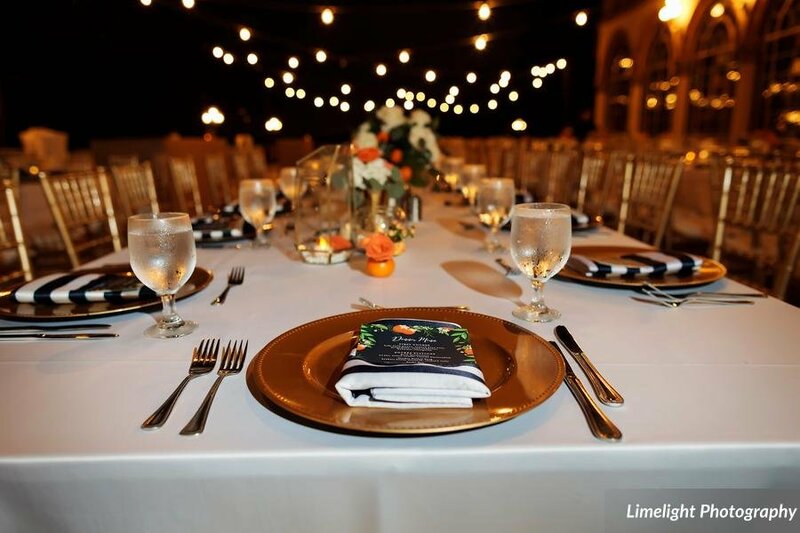 The tables looked great with the striped white and navy napkins and menu cards that matched the other décor…we’re confident the wedding guests will never forget this night! 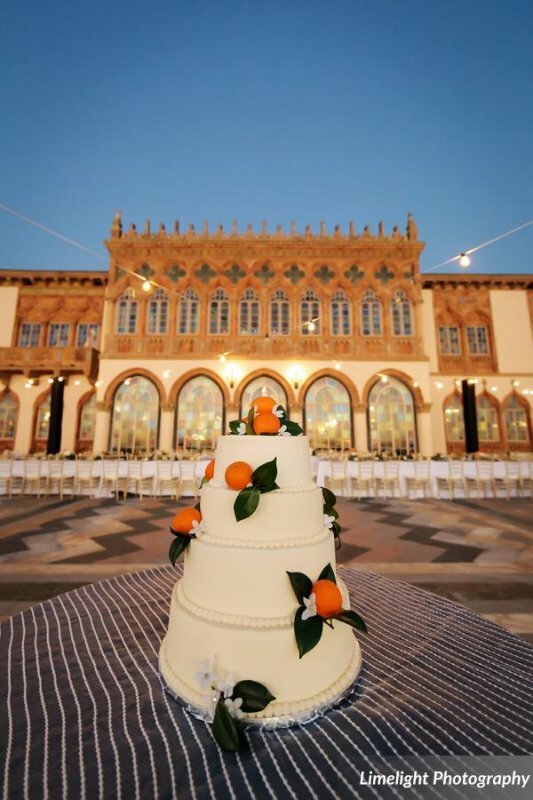 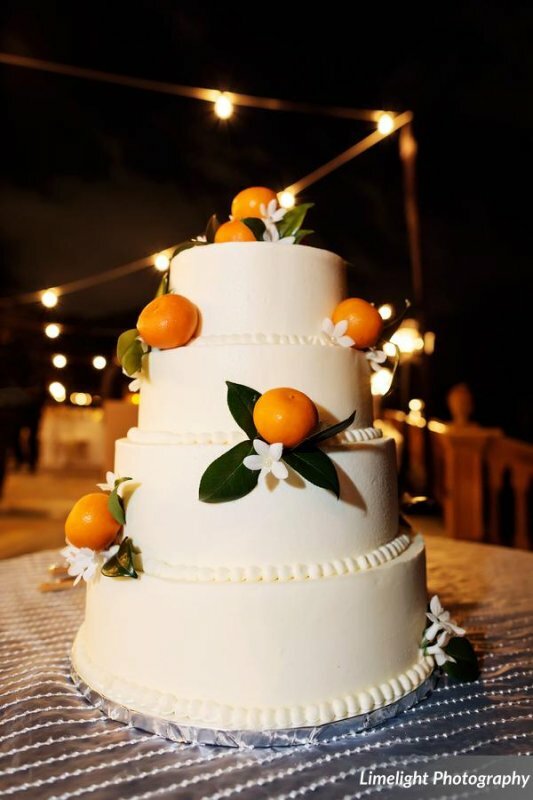 And the wedding cake itself was a masterpiece of white layers with cutie oranges, greens, and stephanotis…so, so pretty!